Elegant and chic place to relax, but also enjoy delicious cocktails with friends. Comfortable leather sofas, 48-inch color TV and lamps with special lighting create a unique atmosphere. 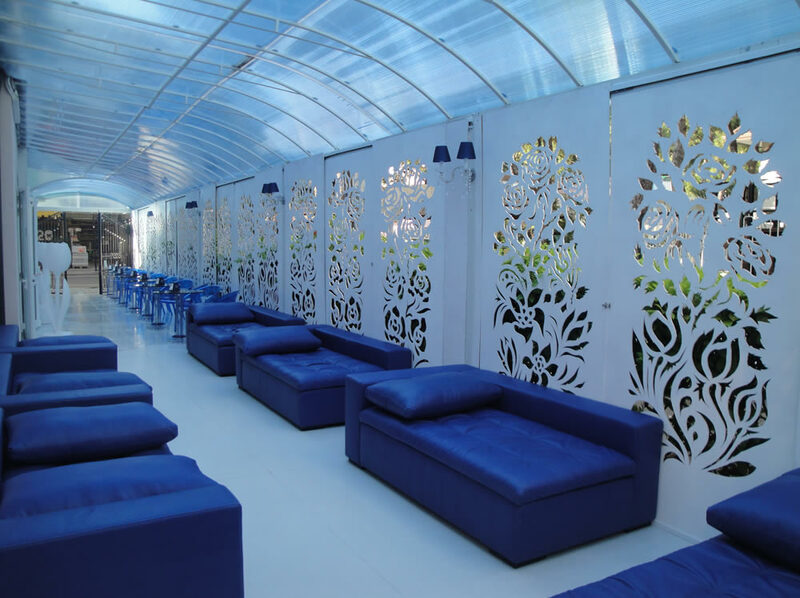 These are the characteristics that best define the boutique lounge bar, overlooking the renowned pedestrian nightlife where you can live your evening at the right pace and in nice company. On the first floor, at the complete disposal of our customers a comfortable solarium where you can relax on comfortable sunbeds located inside gazebos, designed to protect from direct sunlight and to create a stylish and discreet alternative to the beach The terrace also includes a Jacuzzi that favors of relaxing massages. Jesolo beach, 15 km in length, one of the longest in Italy. On it are numerous beaches, cozy hotels, clubs and beach kiosks that can make an unforgettable holiday. Bluemarine a three-star hotel in Lido, where every guest will feel lulled into a comfortable and elegant. For those who have decided to spend your holidays in Jesolo, Bluemarine hotel also offers half-board, for its catering services. Every day, a varied menu, delicious food imbandire elegant dining room, decorated in neoclassical style, and give a nice refreshing time for all his guests. 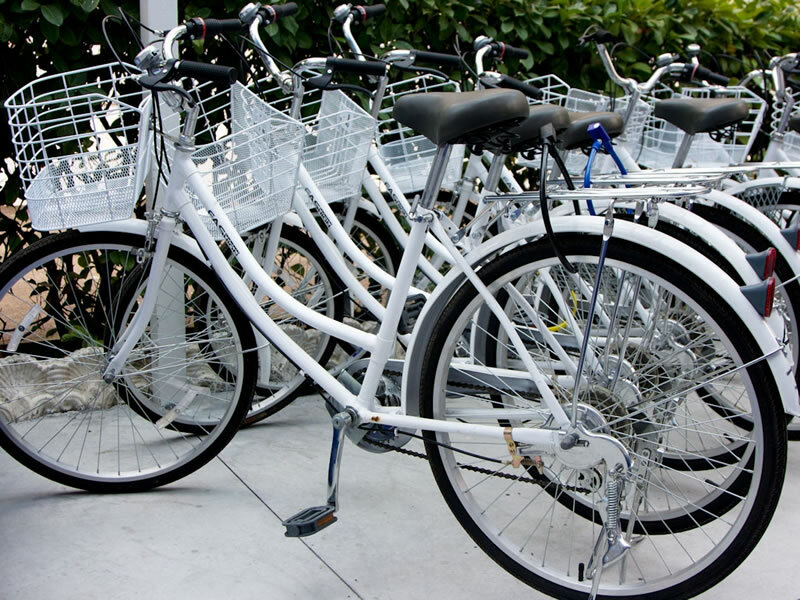 Why not discover the attractions of Jesolo and its routes by bicycle? 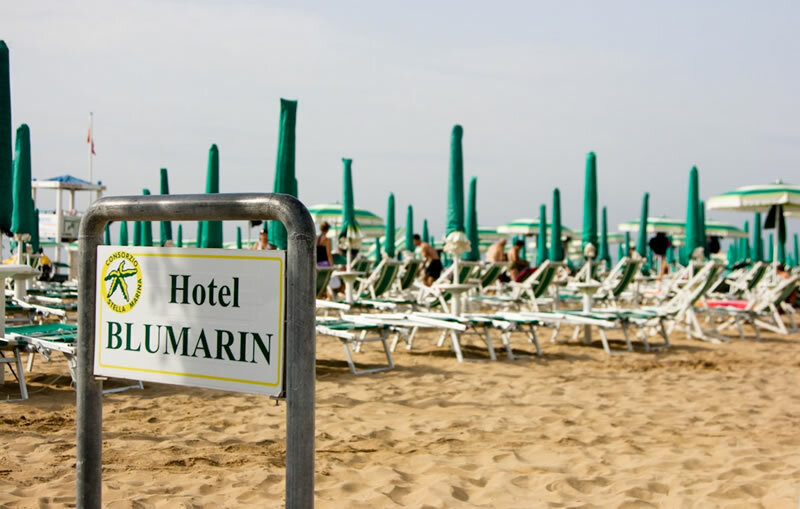 Blumarin hotels and three-star rooms and service, offers you to select a comfortable bike rental service to the landscape of Jesolo go exploring outdoors: The beach and promenade, numerous inland attractions, the city center with its shops and restaurants. 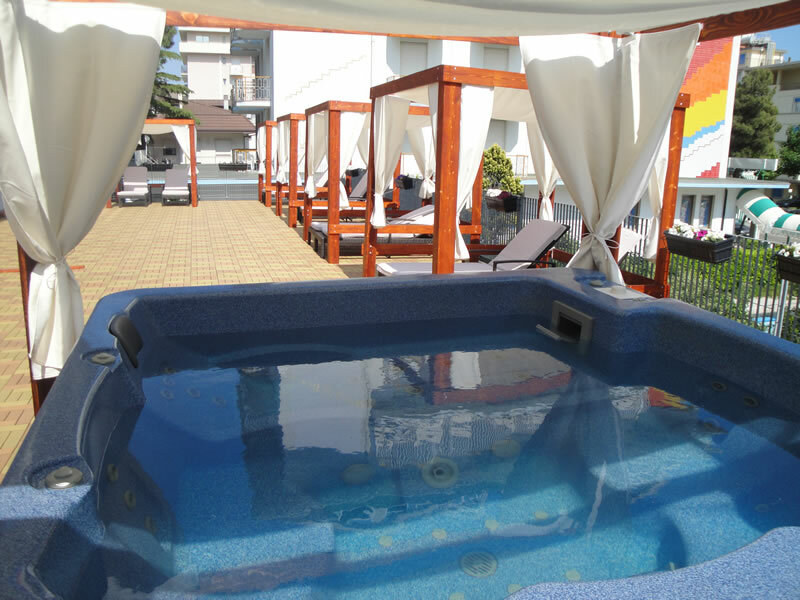 You can follow any corner of Lido di Jesolo and staying in shape, taking advantage of the bicycle hire, the hotel with half-board Blumarin offers to all its guests.